Diameter: 31 mm. Weight: 22.7 gm. 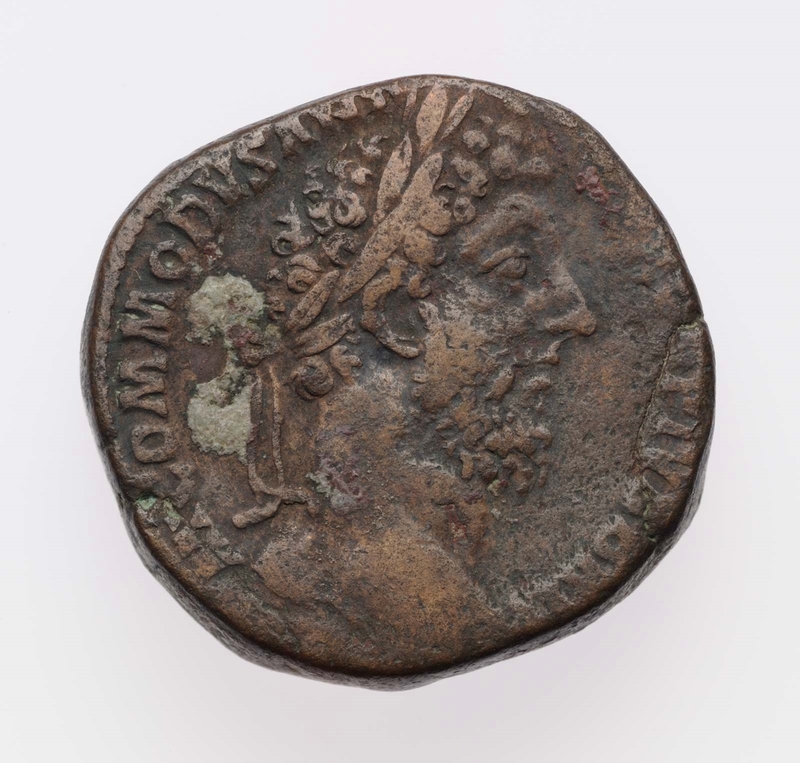 Obverse: Head of Commodus, laureate, right. 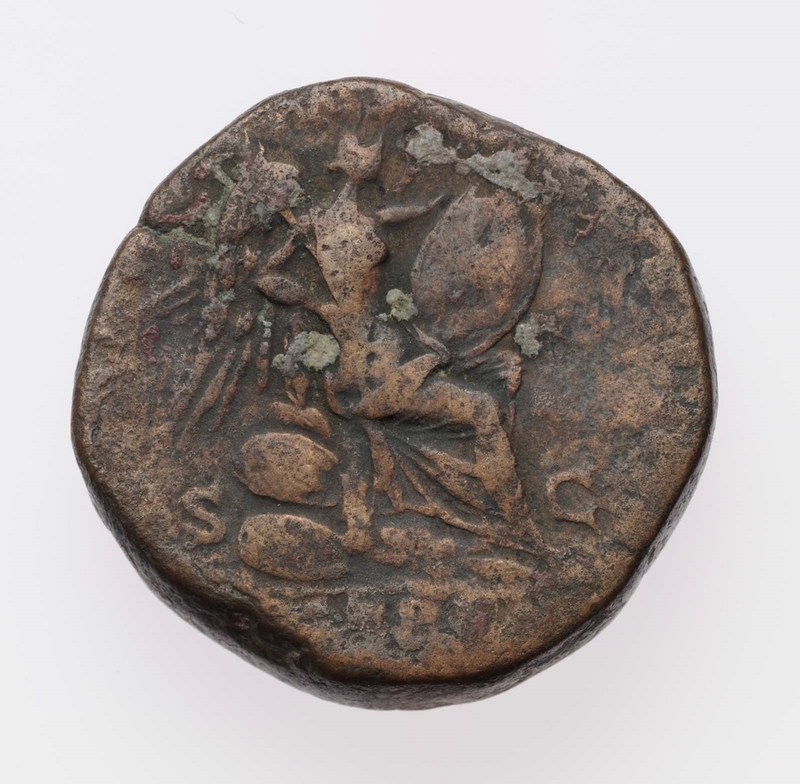 Reverse: Victory, winged, naked to waist, seated right on shields and arms, with stylus in right hand preparing to inscribe oval shield set on left knee.